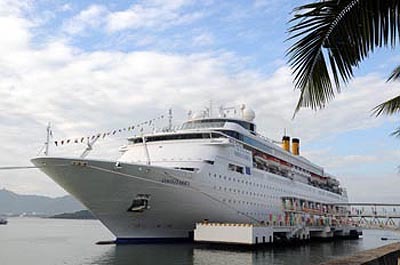 A special plan for the development of Sanya’s cruise tourism industry laid out by the Sanya Tourism Development Commission has been approved by experts. The plan clarifies 7 aspects including the developing goals and targeted strategies of cruise tourism, cruise port construction, cruise products, cruise routes design, the development of cruise industry market and maintenance system. The plan will improve the construction of infrastructures at the Phoenix Island International Cruise Terminal and other supporting facilities and accelerate construction of old fishing ports to provide more functional berths to accommodate domestic boats. The plan also mentioned that Nanbianling Marina will be used as a temporary berth in the near future and will build Sanya Yazhou Central Fishing Port into the largest fishing port in Hainan. Besides, the city is planning to develop 5 key homeporting cruise routes, 3 international affiliated routes, 1 domestic route and 2 special themed routes.